Measuring the distance to a possible target always is essential in cases where an unobstrusive alignment to this is necessary in order to choose one of the specific listening devices like our Laser Monitoring Device PKI 3100 or our Infrared Observation System PKI 3200. Any special task forces, may it be from police or military departments, should have the PKI 5110 as an essential tool for their purposes. This hand held and low-weight unit perfectly matches to these requirements and is as easy to handle like an ordinary binocular. By looking through the device you can obtain the right direction (in case of the use of one of a.m. devices or directional antennas for wireless monitoring and/or any other listening devices) and by pushing a button, automatically and within a second the right distance to the object will be digitally displayed. 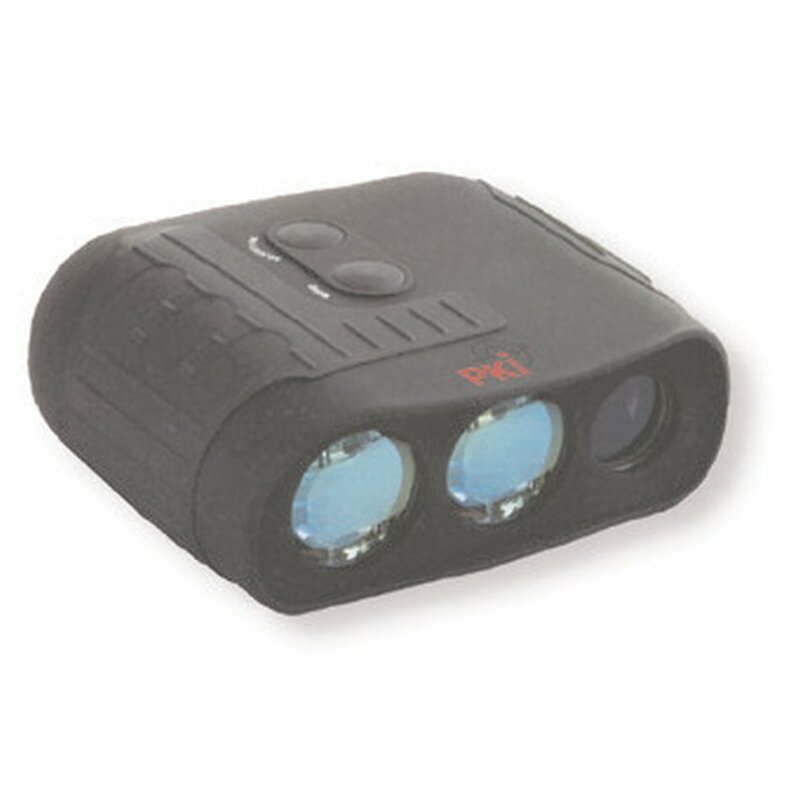 The binocular is equipped with transmitter- receiver and allows measurements up to 10 km distance. The unit exactly measures the distance and angle and the results are shown on the integrated LCD indicator. The reported measurements will help to choose the right objective for optical observation systems and the right angle for directional microphones or antennas.